When you got the ending you wanted. It’s been a minute since doing a list, since announcing ages ago I would stop doing them. Lists are fun there is no denying and I’ve found the fun in them again but my approach will be different. This romance list I could give you the romance recommendations you guys have heard all before. 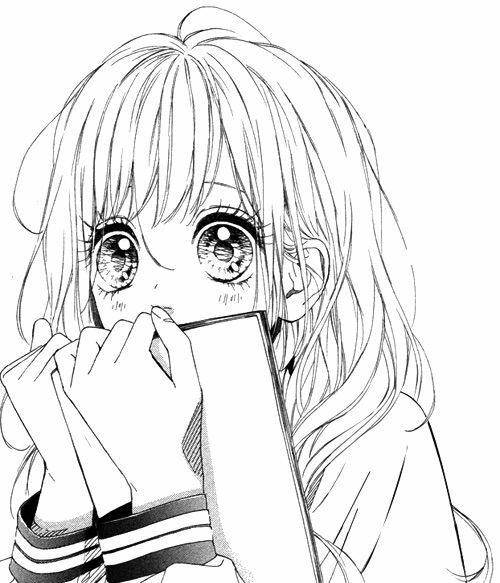 Kimi Ni Todoke, Say I Love You for example. They are indeed satisfying romances, it’d be easy to recommend all the popular ones. 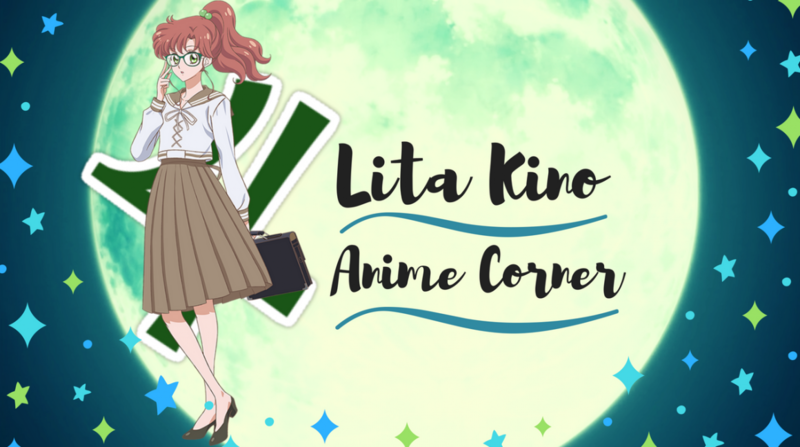 I don’t want to do that, instead let’s look at five anime you wouldn’t think twice about having a satisfying romance element. One of my choices might be a bit obvious but the others might catch you off guard. So let’s see if my list of choices might surprise you. Elemental Gelade takes me back, this 2005 gem doesn’t get much of a mention these days. This series was one of the first ten series I watched when moving to the down land under. It’s still a dear favourite even to this day, this fantasy adventure follows Coud who is a rookie sky pirate, upon his crew’s latest stolen loot. Coud discovers a girl in a crate, Ren is known as a Edel Reid, they have the power to transform into a weapon. Giving their user immense powerful combat skills. Ren and Coud are pursued by three members from the Edel Reid protection agency, who sought to buy her. From there Ren and Coud are on the run from those who wish to have Ren for their gain as she is a special Edel Reid. Going into this series it was obvious Ren and Kou would develop feelings for one another. What was a surprise to me, how deep it truly goes and the best cheesy kind of love. 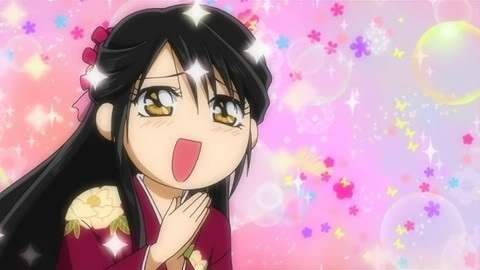 Kou promises to take Ren to the place she wishes go Edel Garden, a place safe for Edel Reid’s like her. Kou sticks to this promise loyally, and it’s so sweet. So it’s a cheesy romance element embedded into this fantasy, adventure. There are of course some bumps along the way for Kou and Ren but you’ll be shipping them right off the bat – before you know it. Aquarion Evol is the second instalment from the Aquarion franchise. Focusing on Amata and Mikono who are reincarnations of Apollo and Slyvia from the first season. 12,000 year old love is reformed again though Amata and Mikono, as pilots of Deava. Defending earth from the planet Altair who kidnap women due to there lack of population of females. A mysterious virus had killed the planets women. Using mecha Aquarion and learning about love for the first time as it is a forbidden taboo among the pilots, they learn the truth behind everything. In the series love is forbidden between the female and male pilots, when it’s broken. Some interesting connects are made among the massive group and such a new thing for everyone to experience. Aquarion is a series bursting out with so much love, it doesn’t hit at the beginning. Mid-way into the crazy, over-the-top nature of this series, you’ll see sweet bonds beginning to form, takes a while to get there but during my first watch. It was beyond satisfying how the romance element was handled, to what I initial thought. From the first season of Aquarion the story is reincarnated into Aquarion Evol and through it’s characters. Amata and Mikono are reincarnated of a 12,000 year old love from previous Apollo and Slyvia. You might think Mikono and Amata don’t act on their own feelings, just follow the fate that’s been casted for them. It’s a slow process but they take fate and feelings into their own hands eventually. Finding refugee in one another’s connection they’ve grown together from what transpires in the series. Aquarion is a romance, mecha genre based series, which might not everyone’s cup of tea. But the romance element was beyond satisfying to whatever I thought it was going to be. It’s what I love most about Aquarion Evol how it surprises you with it’s amount of love it has to spread. Oh no it’s one of those magical academy anime that are all the same alike. 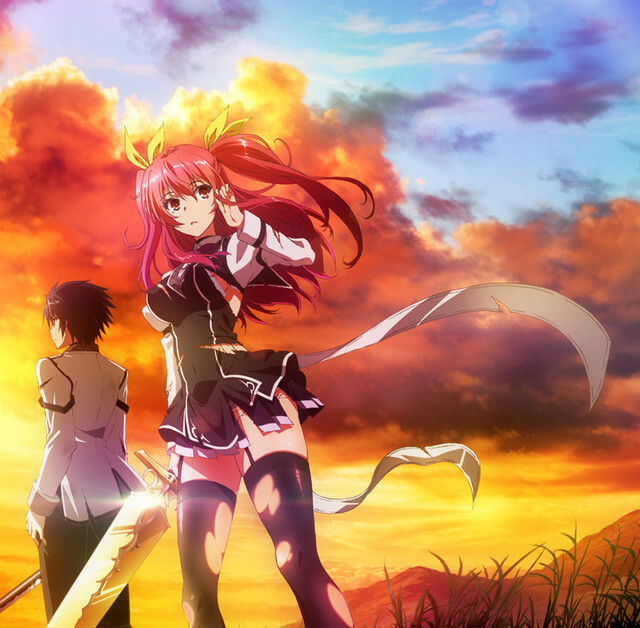 Trust me hear you on this, going into Chivalry Of A Failed Knight, it would just be like all the rest. The typical weak male protagonist befriends a bunch of girls, saves the school, the world and a non conclusive ending. This genre is like a guilty pleasure for me and until two years ago, finding one that could even satisfied my enjoyment, none was in sight. Chivalry Of A Failed Knight completely surprised me, THE DUDE PICKED A GIRL AND IT WAS SO SATISFYING. Ikki is known as the ‘worst one’ in his school and ranked at the bottom where princess Stella he encounters is a top rank. 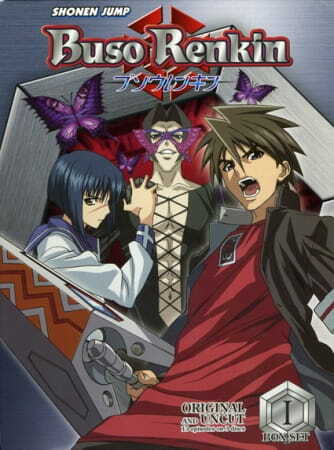 Ikki finds a half-naked Stella in his share room, Stella immediately challenges him to a duel, Stella looses. They become roommates and both of them compete in the academy’s battle festival. Among all the duels Ikki and Stellar partake in, it was surprising the bond between the pair deepens at a fast rate. Ikki and Stella are complete opposites, Ikki is a chill, non arrogant male where Stella is a fiery hot head. Both the pair have faced their share of ridicule from others, that was the starting foundation to their bond growing as strong as it did. Ikki is not the worst he is a valiant knight for Stella and her only. How respectful and courtesy he treats her made my heart melt. Chivalry Of A Failed Knight gives me hope for future series of it’s genre, I’ll find more satisfying watches like this. How it cleverly incorporates a strong romance element breaking some typical standards the genre is known for. Buso Renkin on this list is definitely one people would pass over easily. This series has whacky characters and things can get weird at points. It might remind you of Full Metal Alchemist in a way, Kazuki is killed by a homunculus then revived by alchemist warrior Tokiko. She replaces his heart with a alchemy kakugane which takes a weapon form based on the users persona. Kazuki then becomes caught up in Tokiko battles. This series can get pretty cut throat at points but underneath this is a cracking science fiction, action series to get into. Among all the series whacky factor, there was a strong romance build up on how close Kazuki and Tokiko become and it’s beyond sweet. Tokiko is a “I work alone” individual and is reluctant of Kazuki becoming involved in her fights at first. Kazuki is very stubborn and aids Tokiko when needed most, their growing infatuation worked well within the fast-paced unwinding plot. It was added lucky bonus to throw a dynamic romance chemistry but it works perfectly with head strong characters like Tokiko and Kazuki. I’m sad this series not talked about enough, I’ll need to do a rewatch sometime this year and do a piece on it. But definitely a surprising romance satisfaction over here. RUN it’s another failed otome anime adaptation probably. But before you run off without finishing my post I know what you’re thinking. There was no high expectations for me when giving Code Realize a go as some otome anime adaptation always tend to stick with the usual standards. Blank slate female protagonist with no personality, non- existence romance main couple, unsatisfying conclusion. Out of this list CODE REALIZE SURPRISED ME THE MOST. Cardia carries a lethal poison within her body that will melt anything she touches. Obeying her fathers orders to stay away from anyone, living in complete isolation. Royal guards one day come to Cardia’s manor to kill her only to be saved by the famous thief Lupin. Then Cardia along with other handsome companions is determined to find her father and some answers. For a otome anime adaptation Code Realize was so damn enjoyable. We have a female protagonist who grows into a likeable main lead, and isn’t just a mindless doll. An interesting world setting and revealing plot, more over the romance exists. And it’s so damn adorable. I’m not going to tell you who it is for those that have not seen it. I was living for this pairing as both had this spark from the start. It only just grew from there and all I can say is just so damn SATISFYING. Romance fulfilment ticked box over here if you need you otome anime adaptation done right with romance. This one is for you !!!! Are you feeling the romance now !! There you have it five anime I bet you didn’t think had satisfying romance elements, maybe give one a watch and leave a comment below on what your thoughts were on it. Tell me down belowanime that have a strong romance satisfaction but people might pass over easy? Ugh now I remember why I avoided lists for so long, they take so damn… long. I’ll see you all in the next post anyways and hope you enjoyed !! Buso Renkin…now there’s a name I don’t see very often. Considering the Nobuhiro Watsuki debacle, I’m not sure anyone will give it a chance anymore. Still need to finish the anime, though. 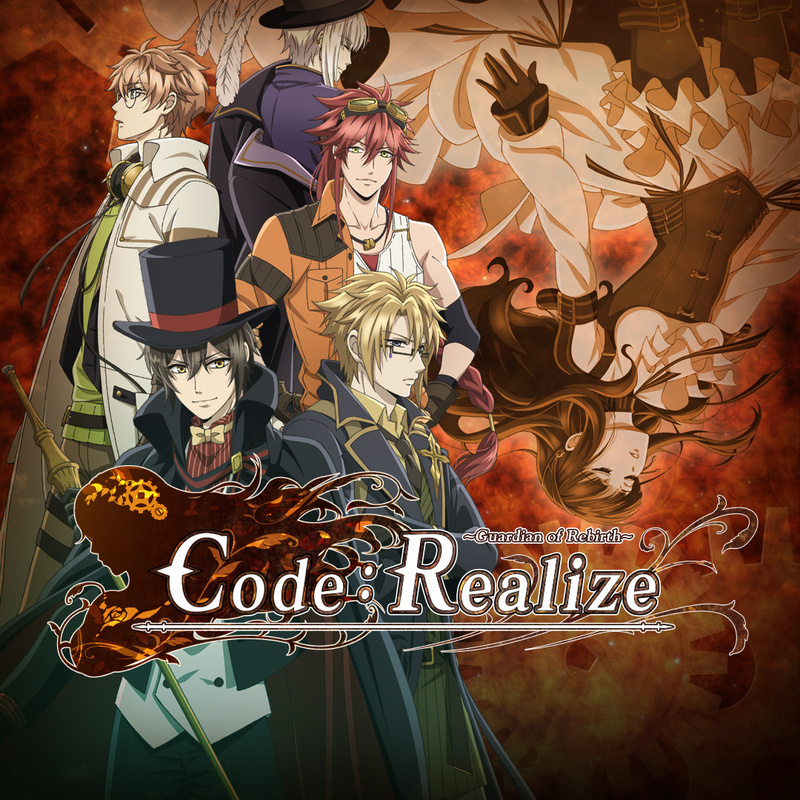 I’ve seen Code: Realise and I think I was planning to watch Elemental Gelade, but I don’t think it’s currently around anywhere legally…well, that’s another thing on the list of “see if someone bothers to rescue [anime XYZ] someday”.